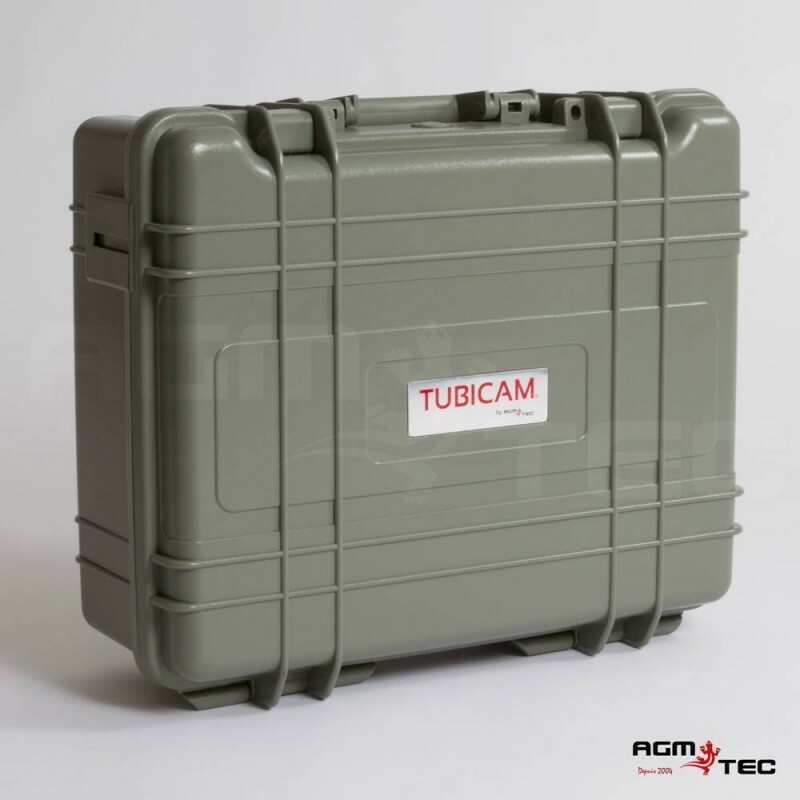 The TUBICAM/R® is a video inspection system which allows the inside pipes visualization. Totally waterproof, its cylindrical 22 mm camera (7/8’’) outing of 12 white LEDs around the objective offers a clear vision on its 7 "or 10" color LCD screen. 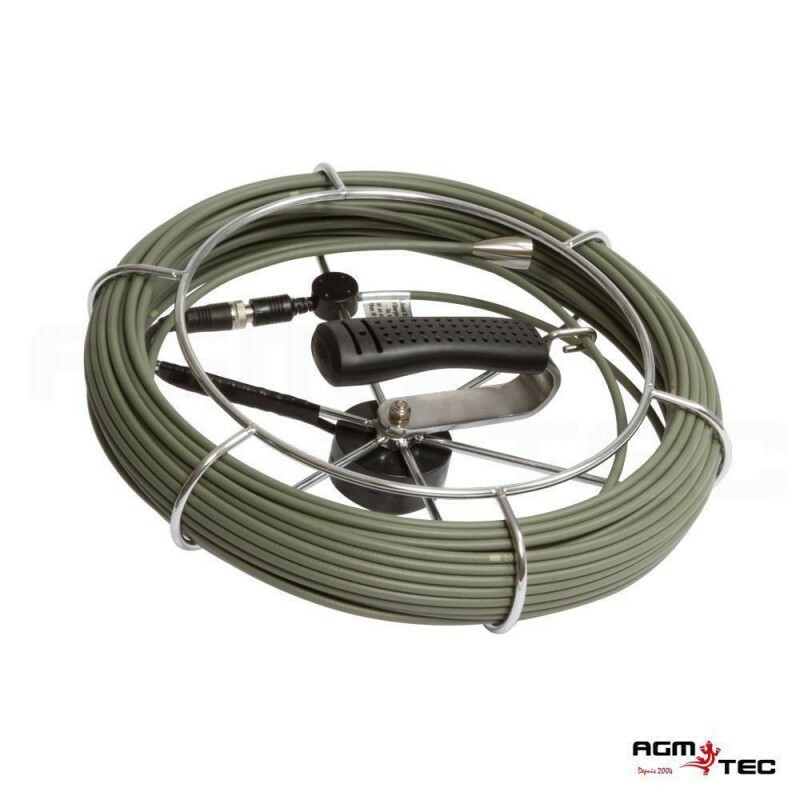 It is wired on a fiberglass video cable on 30 (100’) or 40 (130’) meters reel. The 22 mm camera (7/8 ") operates in pipes from diameter 25 to 150 mm and crosses 90° elbows from diameter 60 mm. Supplied with an adjustable skid, the evolution of the cable in the pipe will be facilitated.